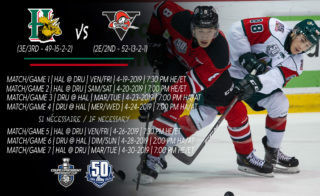 The last time the league-leading Rouyn-Noranda Huskies lost a hockey game, the year was 2018. 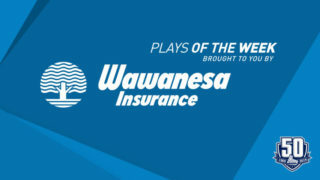 By extension, the same applies to their number one netminder, Samuel Harvey, the latest recipient of the VAUGHN Goaltender of the Month Award. The 20-year-old from Alma, Quebec went on a tear to start the new year, posting a perfect 8-0 record to go with a minute goals against average of 1.33 and a fantastic .948% save percentage. 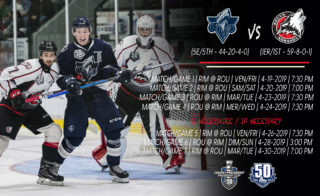 Two of those victories were shutouts, the first one a 22 save effort against the Sherbrooke Phoenix on January 4th, the latter a 20 save whitewash of the Blainville-Boisbriand Armada on January 23rd. 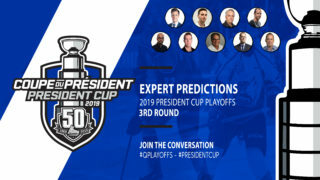 Despite six of the eight teams he faced in January having winning records, Harvey still managed to allow two goals or less in seven of his starts. This is part of a larger run for the fifth-year veteran, who has reeled off a sparkling 19-3 record since the start of November for a Huskies squad that leads the league in fewest goals against while also boasting a 12-game winning streak entering the month of February. 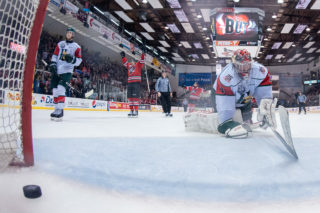 A second-round selection of Rouyn-Noranda in the 2014 QMJHL Entry Draft as well as a member of the 2016 President Cup Champion Huskies squad, Harvey currently finds himself in second place on the league leaderboard in several key categories including wins (26), goals against average (2.01), save percentage (.925%) and tied for second place in shutouts (four). 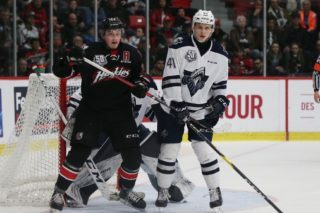 Harvey was invited to NHL training camp with the Montreal Canadiens in 2018.